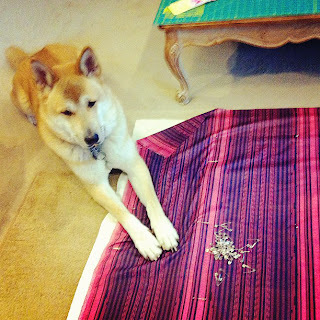 This blog post is a big "THANK YOU!" 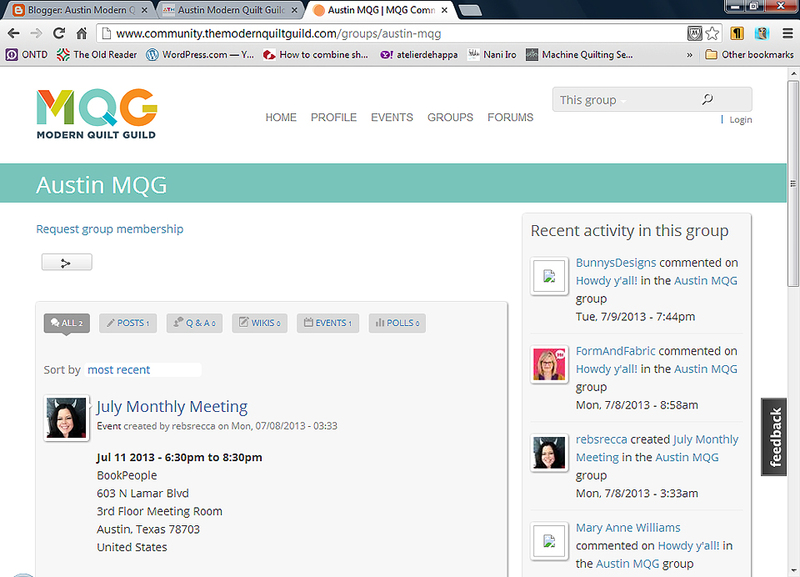 to our amazing Austin MQG members! Of course, it's no surprise that everyone pulled together to support our friend and fellow guild member Heather as she continues her courageous fight to beat cancer! Thanks to your generosity, we were able to collect $175 to gift Heather Grant with a Greenling's Gift Certificate! It's good to know that we will have played a small part in Heather's fight. Greenling's is a local organic/clean-food grocery that delivers to your home. 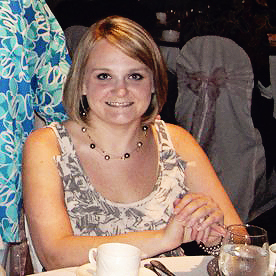 Our gift will make a direct impact to Heather's strict cancer-fighting diet. In addition to feeding the body, we all know the importance of feeding the soul. For our group, that can only mean one thing - making a quilt! 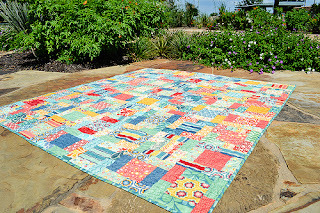 Using Heather's Fiesta Ware collection as color-inspiration, and Alissa Haight Carlton's Modern BOM for July 2011, hosted by Sew Mama Sew. Margaret Udell cut and packaged block kits for anyone who wanted to sew a block or two. The kits were distributed in May and collected in June. 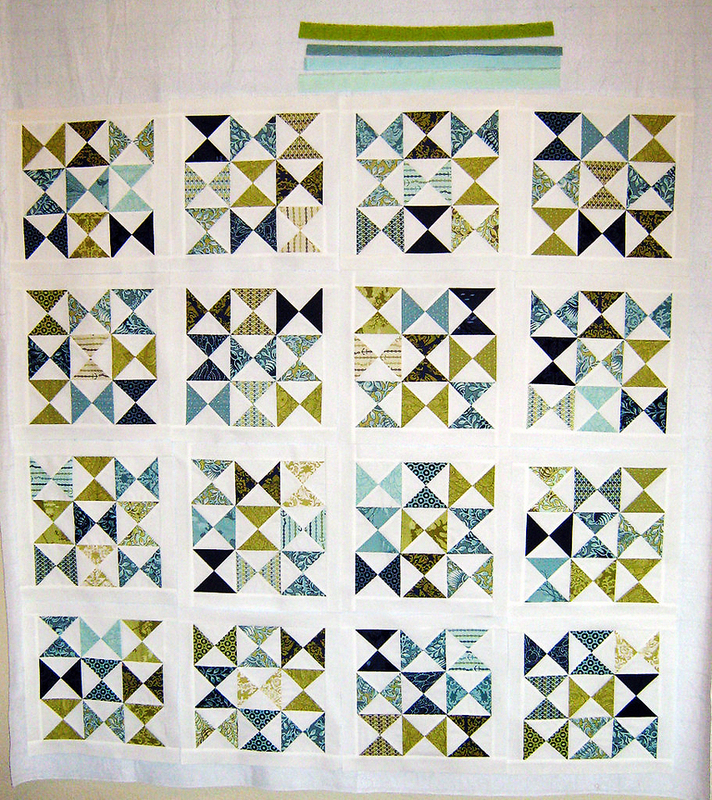 Blocks were trimmed, arranged and pieced into a fabulous quilt top. Many people also made a signature block for the back...additional blocks were made to make sure that everyone who participated in the quilt project was included. Kim and Margaret hard at work! When the quilt top and back were done, the wonderful Laura Brown volunteered her longarm services to add gorgeous quilting! The edge to edge pattern is called Stacked Snails and is reminiscent of the concentric circles seen on Fiesta Ware. 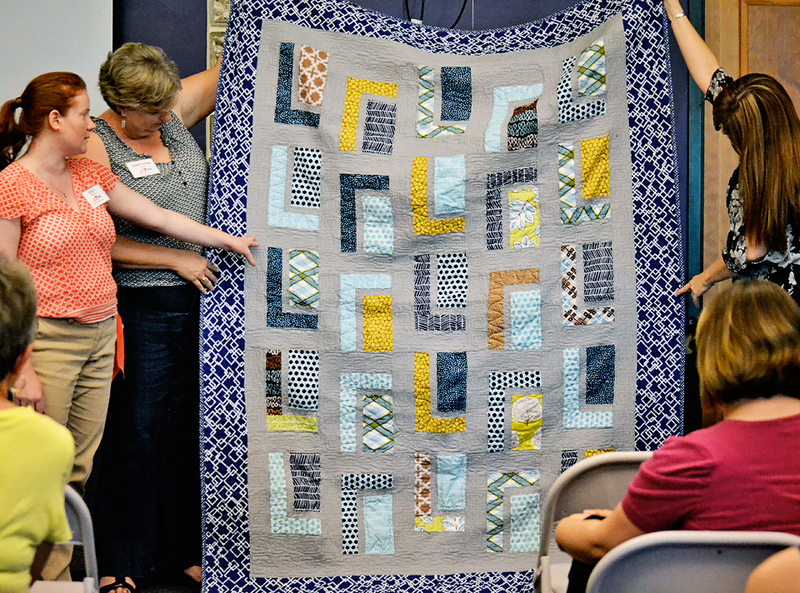 When the quilt was all finished, we were thrilled to share it with the Guild at the July meeting. The following week, there was an opportunity to present the gift to Heather. Heather tells us that the quilt has been officially awarded the 'morning snuggles' seal of approval! It doesn't get much better than that! Here's a shot of the wonderful quilt back - with Gina Pina's famous ATX block! A huge, heartfelt thank-you to everyone who contributed to the success of this project. Bobbi and Claire for helping to get the word out, Mitzi for setting up the special PayPal link for the Greenling's gift and Margaret of Form and Fabric for her very generous contribution of all the fabric needed to make the quilt - as well as putting together an awesome post on her blog! But wait! There's more! 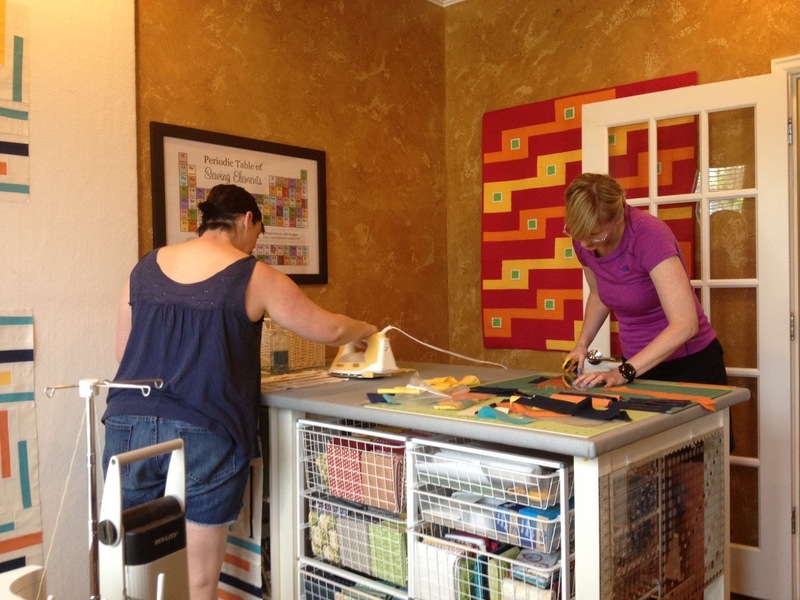 Kim Place for piecing the top, Laura Brown for her thoughtful and generous gift of quilting (and batting! ), Gina Pina for making the Austin MQG logo block and to Jill Ivie for her mad binding skills...under a tight deadline, no less! And let's not forget all of our wonderful block-makers! THANK YOU! I'm so proud to be a part of this wonderful organization. I look forward to being a part of our continued efforts to make positive and caring contributions to our community! 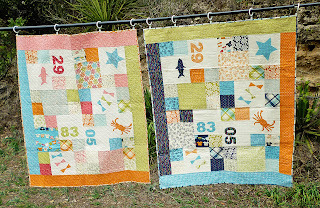 Our member, Amanda from What the Bobbin?, is hosting a Fussy Square Block Swap on Flickr! Take a look at the Flickr group and her blog post, to see if you're interested. 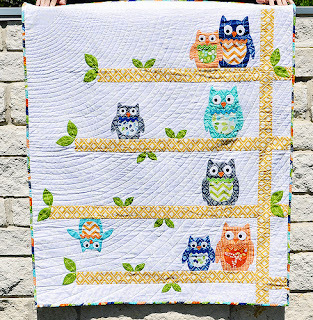 So far, the blocks I've seen are too adorable to pass up :) This block was made as an example: this isn't the fussy cut she's looking for! 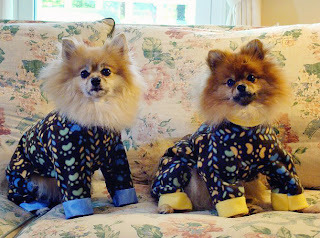 And, I'm a donkey's patootie for stealing her picture, but I did it for a good cause. Sign up before it's too late! Wimberley Quilt Ranch has some world class quilting accommodations. Large, bright, open workspace with plenty of tables and jumbo sized design wall? Yes please! Memory foam mattresses that I don't have to share with pets, kids, or significant snorers? How long can I stay? $125 is the price for a wonderful weekend in quilt heaven. Food is not included, so you'll want to coordinate with the other guests going. Margaret has already volunteered for margarita duty, and I hear Mary Anne makes a pretty good one too! Go now and sign up here!! 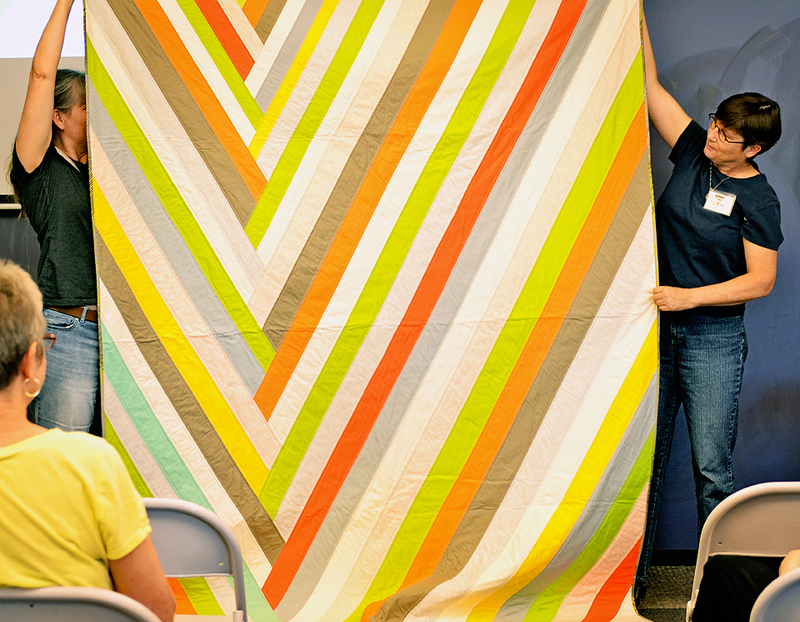 Have you heard about these exciting events in the modern quilt universe? Up next in our little series is VP of Programming, Gina Pina! 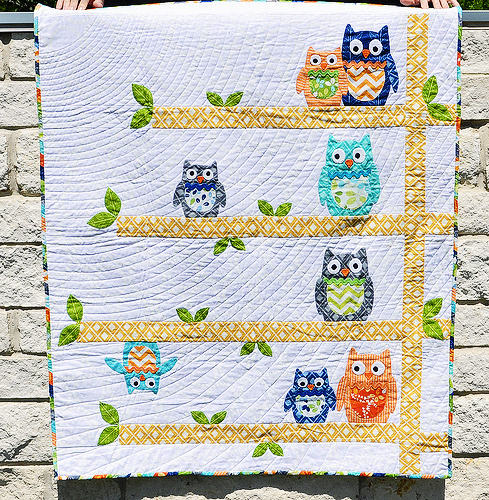 When did you make your first quilt & why? 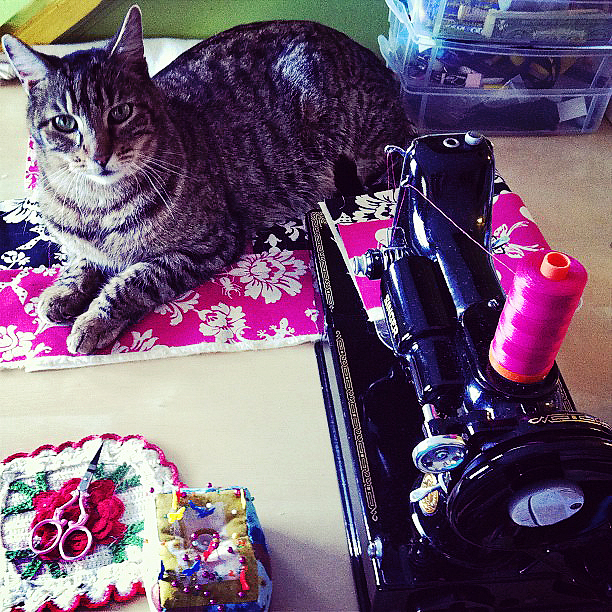 My first few quilts were very small and made for my cat to sleep on. 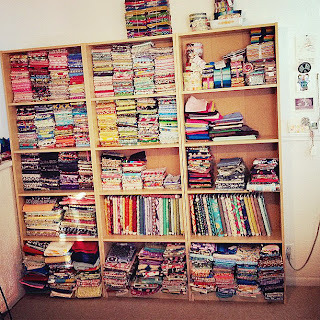 Now I make quilts mostly to justify my huge fabric stash. Does anyone else in your family quilt? Both of my Grandmothers were quilters, my Granny in particular always had a large sewing room and fabric closet at her house and spends a lot of time quilting these days. 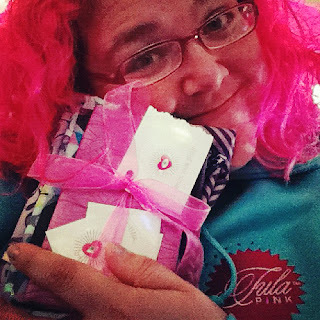 She has even started a flickr account and has been participating in the Tula Pink quiltalong! 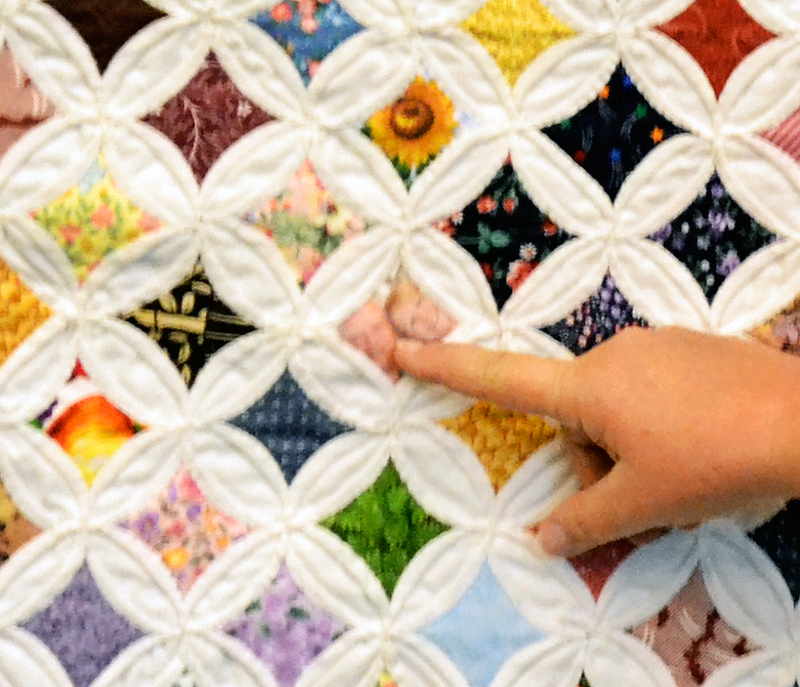 I have lots of memories of Quilt Shows and watching sewing circles hand quilt around a large frame. 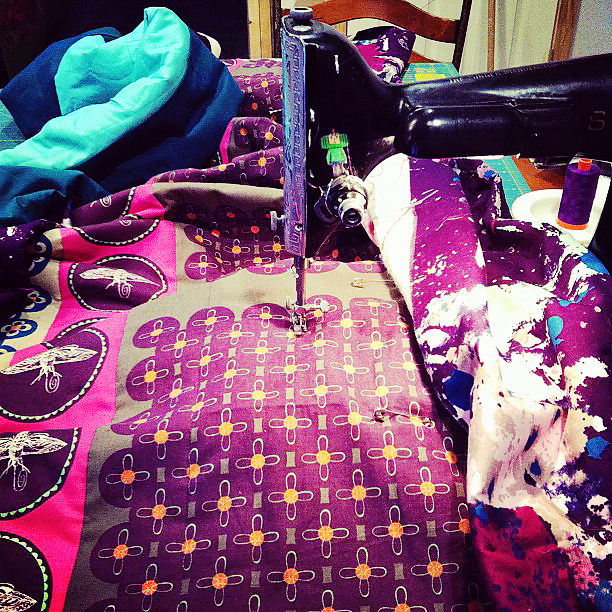 Who’s your favorite fabric designer & why? I have a soft spot in my heart for Japanese fabric, especially the super cute or crazy stuff and anything Echino, but hands down favorite designer is Tula Pink for most detail and best use of color. She hand draws her designs with a mechanical pencil and always hides little details in the fabric. Describe the last piece of fabric you bought! I bought some black and white text fabric for stashing and a black Comma print for binding. Steam helps a lot. I spray water from a bottle for steaming. I also love starch. Machine finish binding or hand sew binding? Hand sewing always looks best to me, but I want to get better at machine binding for a quick option. I don’t use pins for everything, but sometimes they are necessary. Slow & steady or pedal to the metal!?! It depends, but sometimes going faster actually makes it a little easier. Favorite batting brand & type? I prefer 100% unbleached cotton for bed quilts. If I were making a wall hanging or something for a show I would use a Poly cotton blend or something with more loft. But dogs are good at basting. Beer or wine? Or other? I love craft beer. My true love is coffee. 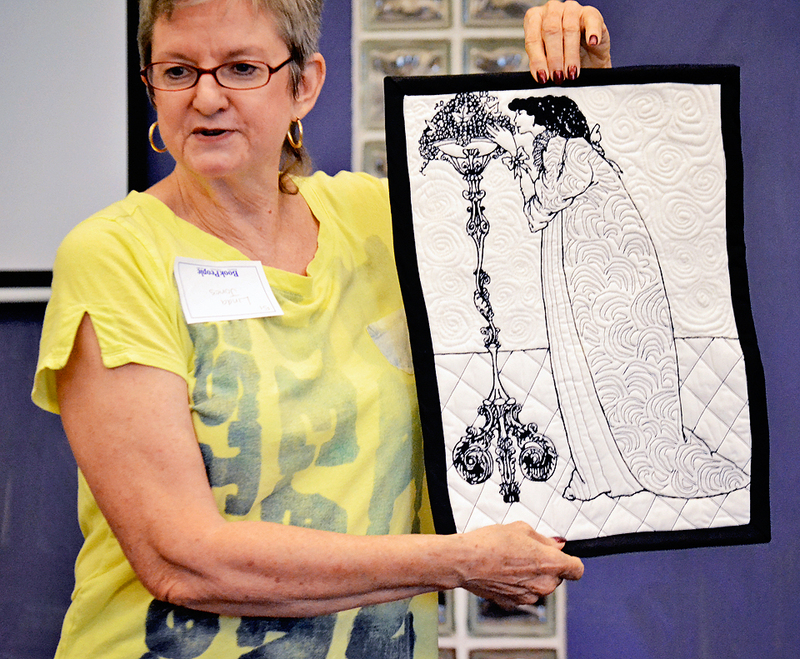 How would you describe your style of quilting? 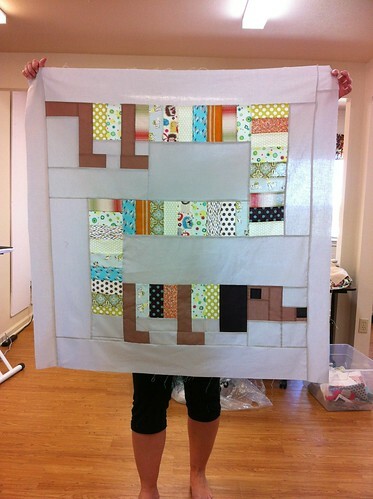 Stress free quilting. I don’t skimp on the process, but I definitely don’t shed a tear if it doesn’t all line up perfectly in the end. 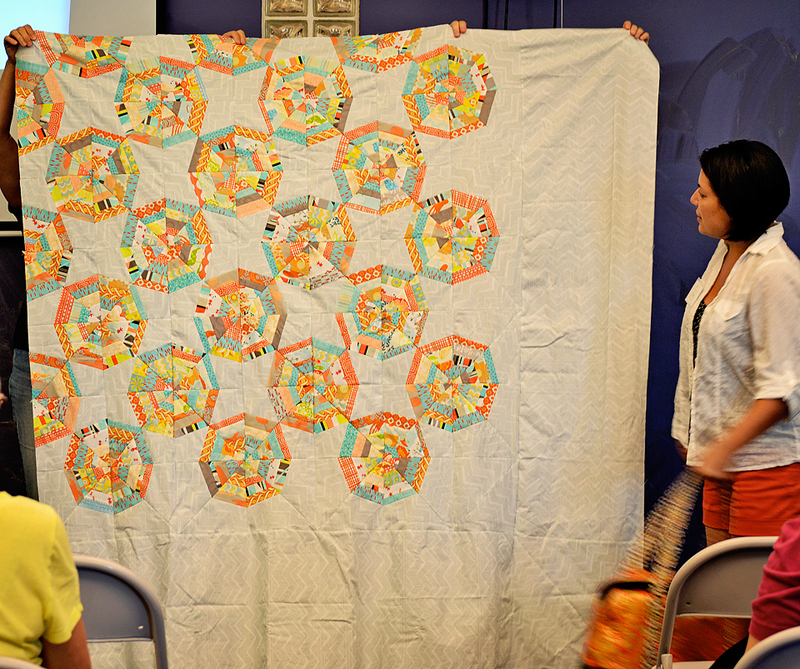 Name one new quilting skill that you’d like to learn more about this year. I’d like to get better at free motion quilting and put in more time on a long arm machine. If you had to recommend a quilting book to a beginner, what would it be & why? I always recommend searching for free tutorials or videos online. You can usually find several methods for doing the same thing and choose one that makes the most sense to you. Videos & Classes are easier for learning since it is a lot of information to convey and books have limited space for explaining. That being said, I buy books if I like the quilts on the cover. Tell us about your favorite blog & why you like it. 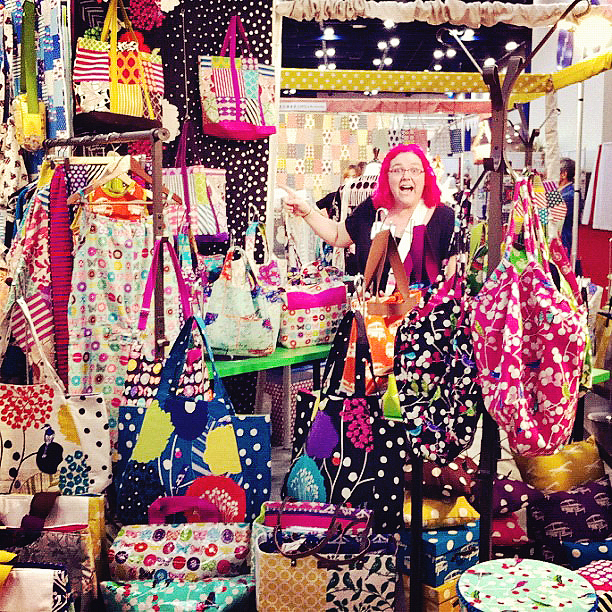 My favorite blog is True Up (www.trueup.net) “All Fabric, All the Time” It is a great unbiased look at new fabric being released and Quilt Market recaps. Do you have a blog or twitter or instagram where we can creep on your shenanigans? Name something on your quilting bucket list! 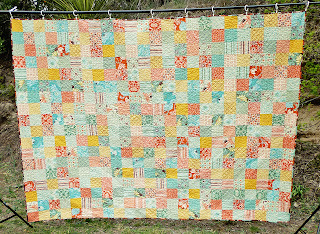 I would love to hand quilt an entire quilt. 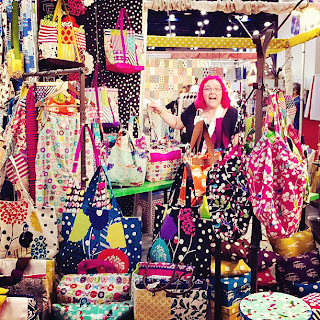 I also want to visit International Quilt Shows, such as the one in Tokyo. Name one of your secret skills (outside of quilting!) that no one in the guild knows about! 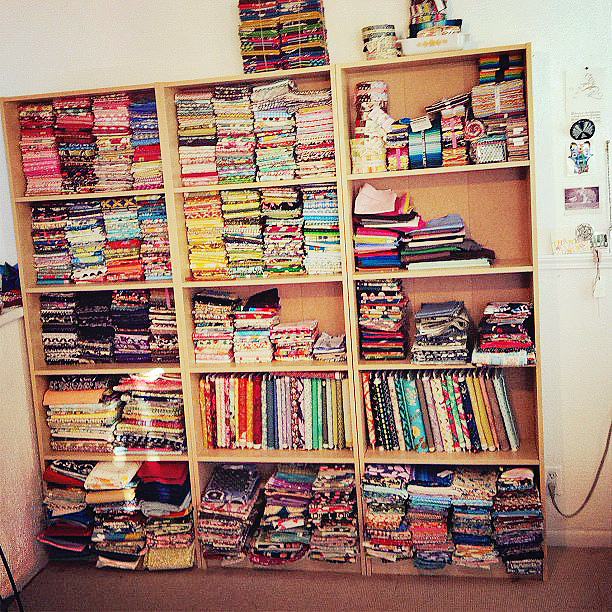 I love to play instruments of all types and would probably be a rockstar by now if it weren’t for my fabric addiction. 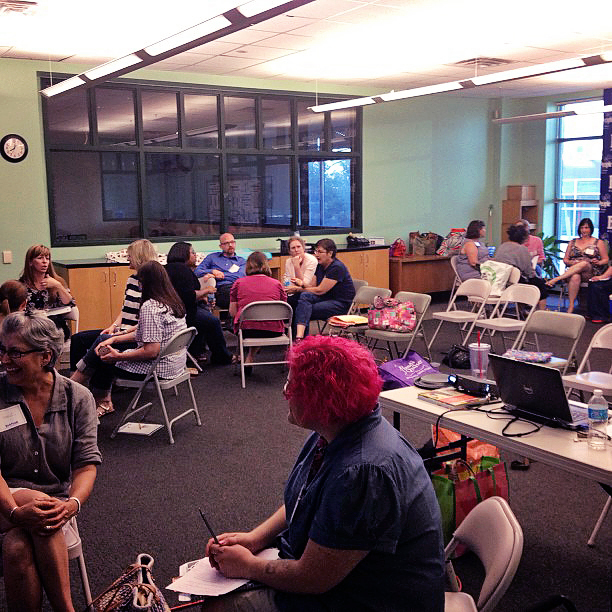 If you could have anyone give a lecture or teach a workshop for the Austin MQG, who would it be? Tula Pink & Angela Walters!! What are you most excited about as you start your term on the Executive Council? 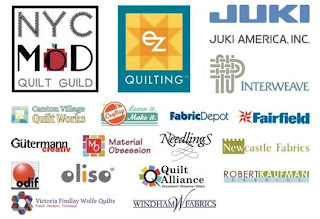 I am most excited about all the fun we have planned for the upcoming meetings and being a part of the Modern Quilt Guild members website launch. Is there anything else you'd like our members to know about you? I am obsessed with strawberries & Oldies music. 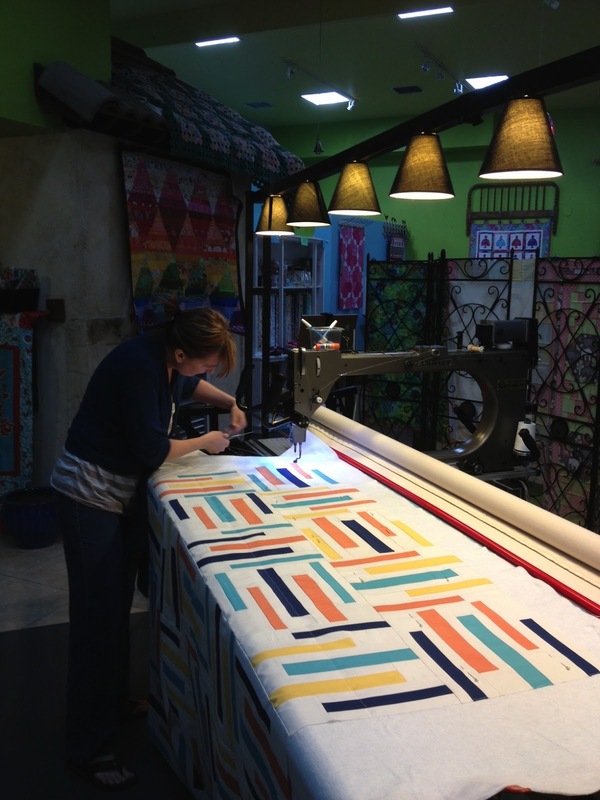 I have a great job working for Margaret Udell at Form & Fabric, a locally based online fabric store gem on North Loop. We love fabric! Love the Form & Fabric project pouches! Thank you for sharing with us, Gina! 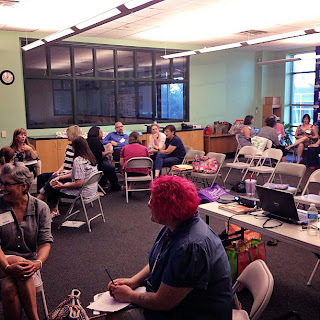 We had a wonderful meeting last Thursday evening at BookPeople. First, I’d like to recognize everyone who made contributions to our door prizes and Community Outreach fabric stash! Please let them know how much we appreciate them! 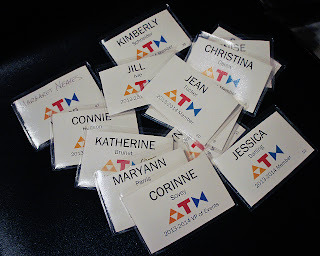 We busted out some brand new name tags for both members and visitors alike! I felt like Oprah handing out swag, “YOU GET A NAME TAG! AND YOU GET A NAME TAG!” Although, I must say they aren’t exactly high ticket items. It was more like Tyra handing out Vaseline. But we wanted to make it easier for everyone to get to know each other, and wearing our names loud and proud definitely helped. 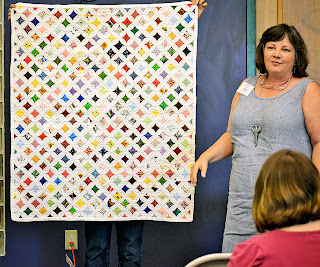 President Mary Anne touched on the sign-up process that we are going through to officially join the Modern Quilt Guild. 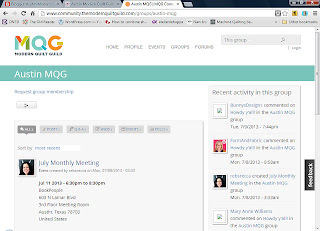 We are a pilot guild, so paid members have been given early access to the community features of the MQG website before they go live. The Executive Council has been getting all of the paperwork together in order to sign us up, but some of the required by-law changes will need to be voted on by membership before going into effect. We’ll keep you informed on our progress towards that vote. During Committee Reports, Treasurer Jill Ivie let us know that five new members have joined in the past week and a total of twelve have joined since July 1st! We hope to keep this trend rolling- As our numbers grow, so do our opportunities for inviting nationally known speakers, scheduling engaging workshops, and broadening our community outreach. 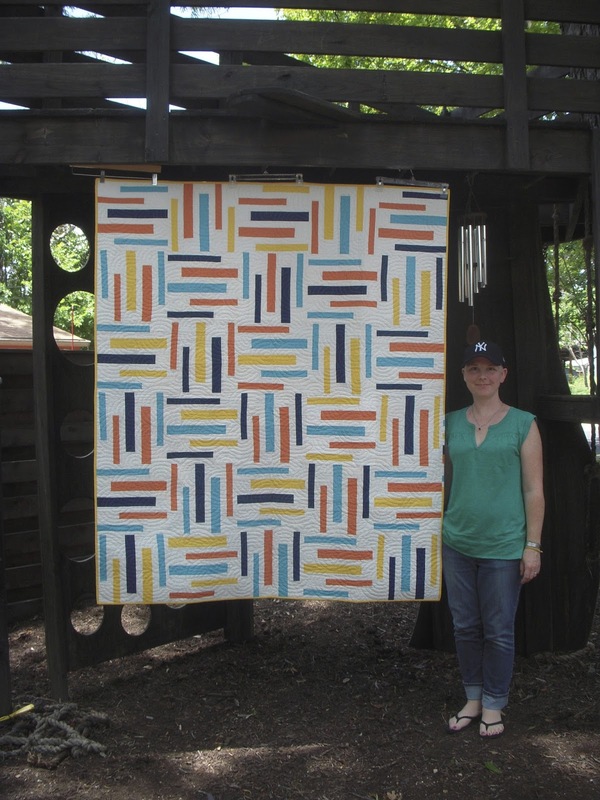 Also during Committee Reports, I recognized Secretary Emily Thompson for her recent donation of two quilts to the Moore Love Tornado Relief effort put together by the Oklahoma City Modern Quilt Guild. We also took time to recognize everyone who came together to help create a special TOP SECRET project and debuted the end result in public for the very first time. We’ll be sharing more info about this project very soon, so check back with the blog for more details! 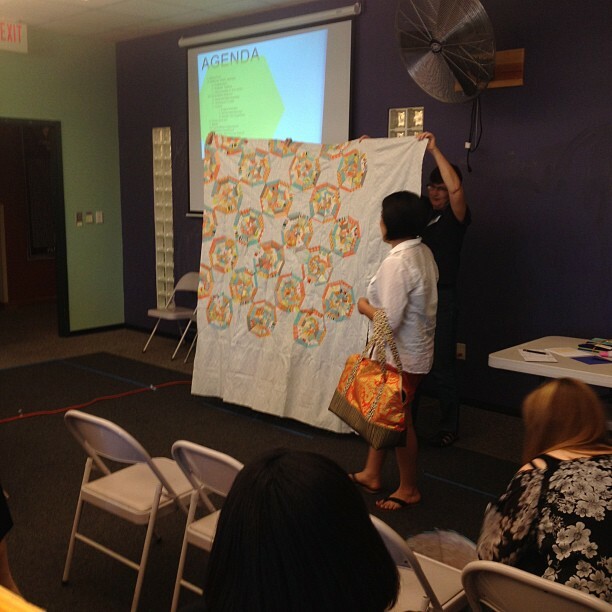 VP of Events Corinne talked about our upcoming retreat at the Wimberley Quilt Ranch on August 2nd-4th. 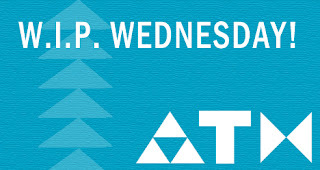 We’ve met the minimum requirement for attendance, but the more, the merrier! If you need to get away for a little while and have some fun, consider joining us- You’ll come back home with at least six more friends! SHOW & TELL! Everyone’s favorite part of the meeting did not disappoint! Let’s take a peek,shall we? 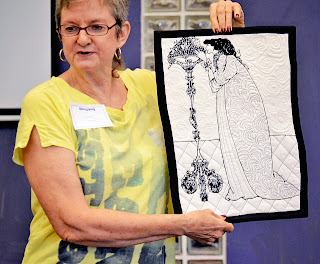 Newcomer Linda J. brought some interesting panels that she used for free motion quilting practice and she talked about how her binding skills improved with each one. 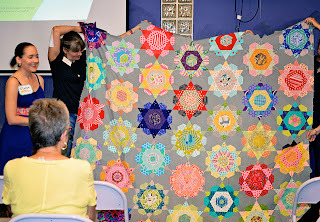 Claire showed her nearly completed Rose Star quilt! 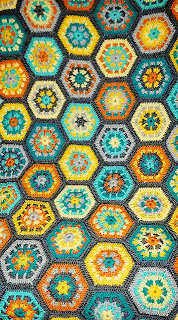 You can read more about her journey with English paper piecing by clicking here. 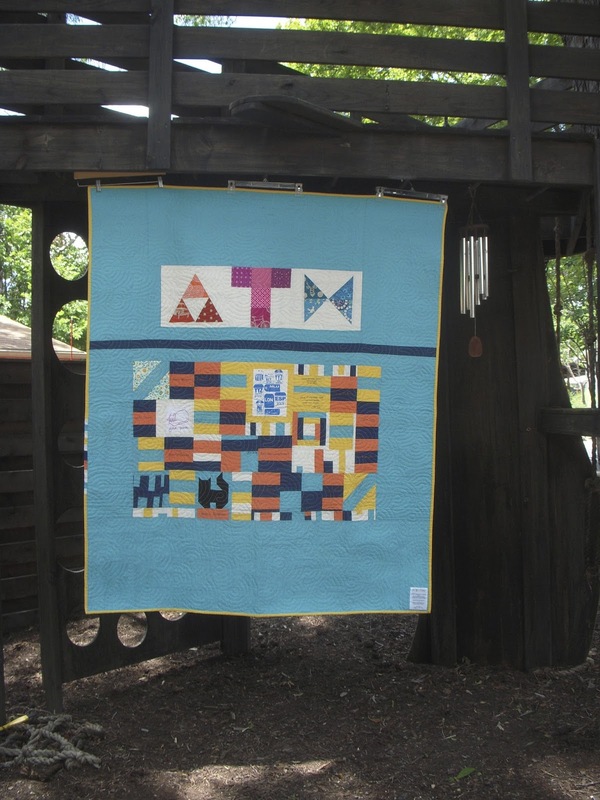 Oriana shared the anniversary quilt she made for her husband and the adorable story behind the quilt back. It’s going to be used on the twin bed inside her Airstream trailer during family vacations. 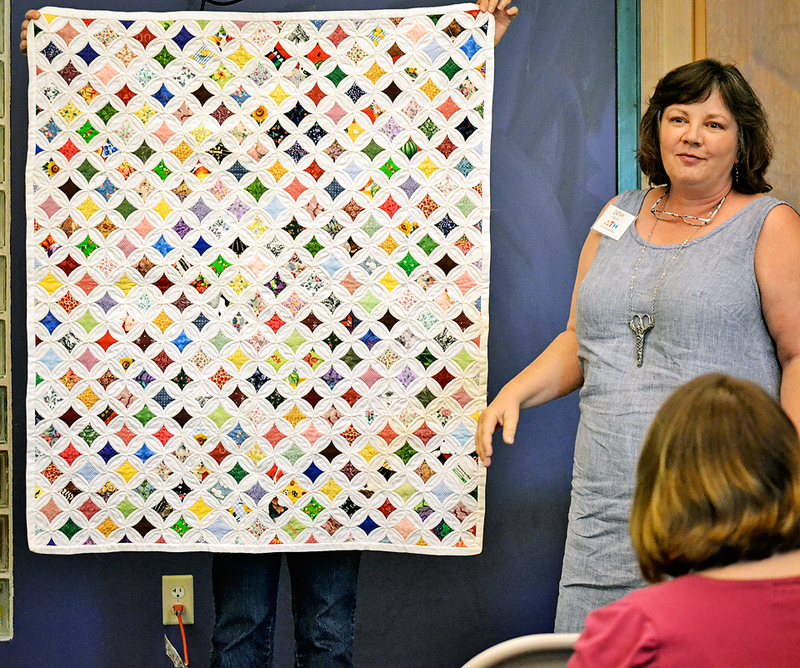 Cathy shared a Cathedral Window quilt made by her mother that included scraps of clothing from family members. In a few windows, there were even little photos of Cathy’s parents and Cathy herself! Thank you for driving all the way from San Saba county to share this with us in person! It is beautiful. Lily shared her latest snazzy quilt top before it goes off to the longarmer AND a sweet bag. 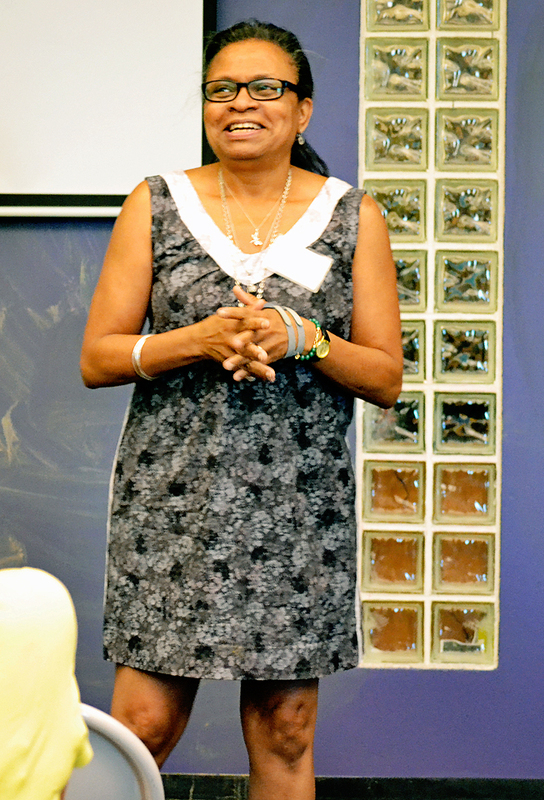 She always comes to the monthly meetings with amazing work! And Linda T.- who is a TREASURE, might I add- regaled us with her tale of sewing an Anna Maria Horner Socialite Dress. Too funny. There’s so much more, though, and this post would be a mile long if I shared it all! Head on over to Flickr by clicking here and look at all of the photos Emily has posted from the meeting. After break, we discussed the Committee Assignments for all of our paid members and how some committees were inadvertently left off the list of choices. The Executive Council should be getting in touch with each committee soon to start solidifying our plans for the new year. The meat and potatoes of this evening was spent in small groups discussing what everyone’s ideal guild would be like. Each group was led by a member of the Executive Council and we posed questions such as, “If you could have anyone from the MQG Universe speak at one of our meetings, who would it be?” and “What makes you want to (or not want to) participate in Challenges or Swaps?” We chatted, but more importantly, we listened and found out that our members are FULL of incredible ideas. They flowed so freely that I had to write at lightning speed and ended up with pages of chicken scratch that I was too embarrassed to hand over to Mary Anne! I went home and immediately transcribed everything to a Word doc so that my notes and my memory didn’t leave anything out. Every member of the council has sent their notes to Mary Anne and she is going to turn them into a plan of action! We ended the night by inviting everyone to next month’s meeting on August 8th, where we will explore all the ways that modern quilters connect online. If you would like to be a presenter and share your experience with Flickr, Instagram, Twitter, Facebook, et al, then please leave a comment below and we’ll be in touch! Oh, one more tidbit of awesome! 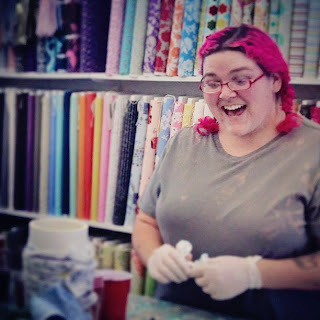 There were several local fabric shop owners in attendance- Margaret Udell of Form & Fabric, Angela Milliman of Bunny’s Designs, and Leslie Bonnell of Stitch Lab- and they all joined up at the end of the night to announce an Austin Shop Hop in early August! They are still working out the details- we will share them as soon as they are available- but this local event promises to be amazing! In fact, a few of the online shops have never been open to the public before, so this will be an incredible opportunity to peek inside their world and not pay shipping fees! 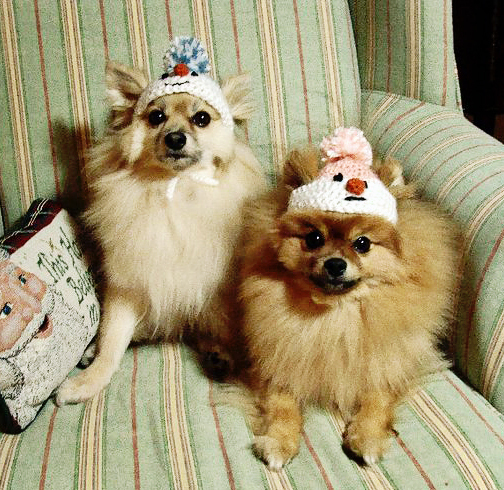 Again, keep checking back with the blog to get more info! Today, let's learn a few tidbits about our new VP of Events, Corinne Sovey! I started my first quilt two years ago when I moved to Austin from DC. 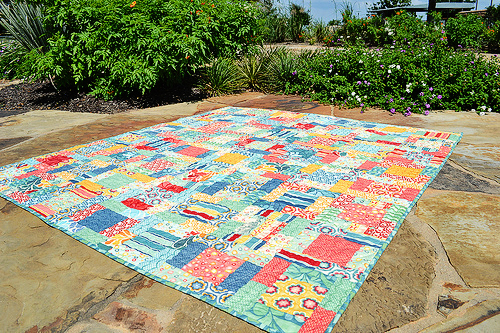 I wanted a beachy, scrappy, happy quilt and decided to make it myself. 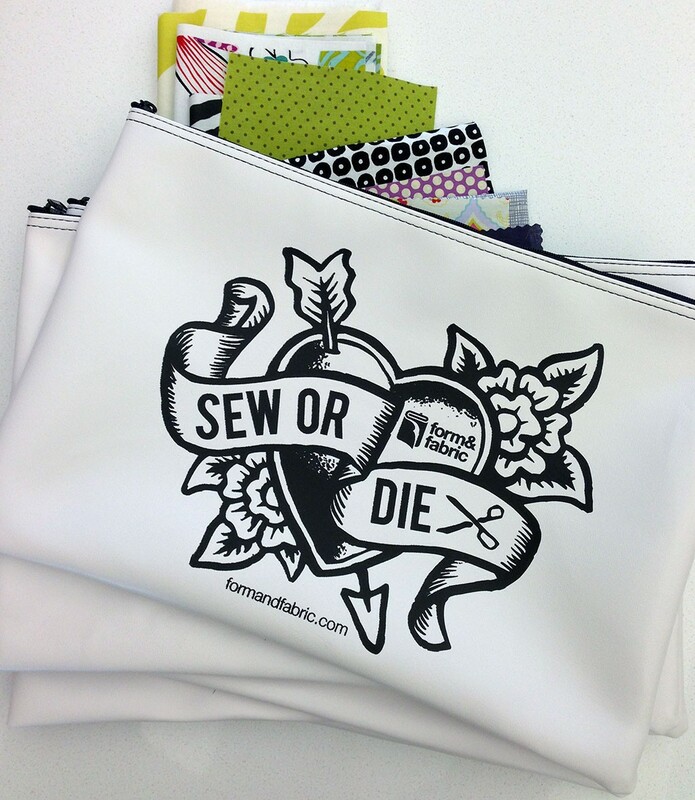 I’d been a sewist for years, sewing mostly bags and crafty projects, so it was time to branch out! 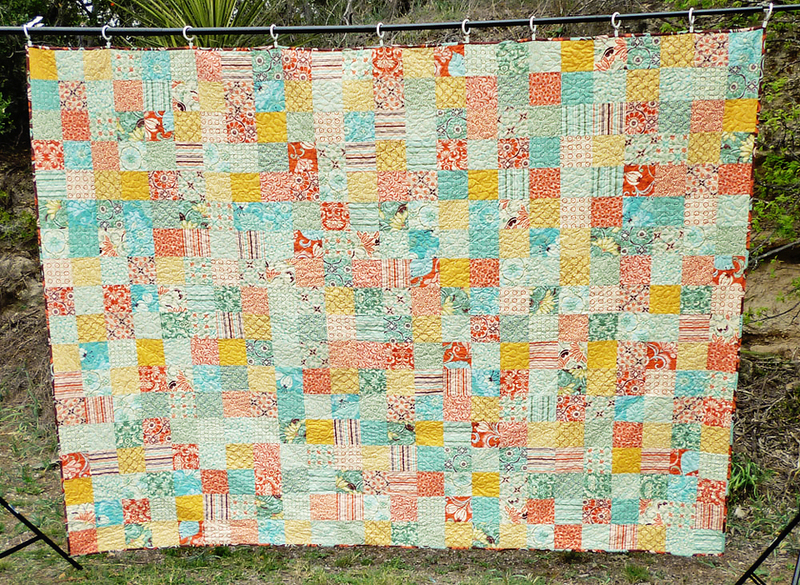 I made a simple nine-patch queen size quilt out of the Fandango line by Kate Spain. 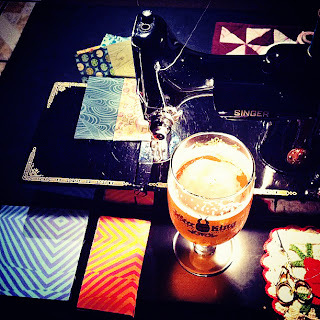 I had gotten fat quarters not knowing exactly what I wanted to do, and once I decided on a simple nine-patch, I REALLY wished I’d bought charm packs…I cut out each square and didn’t do any strip piecing. I’ve learned so much since then! 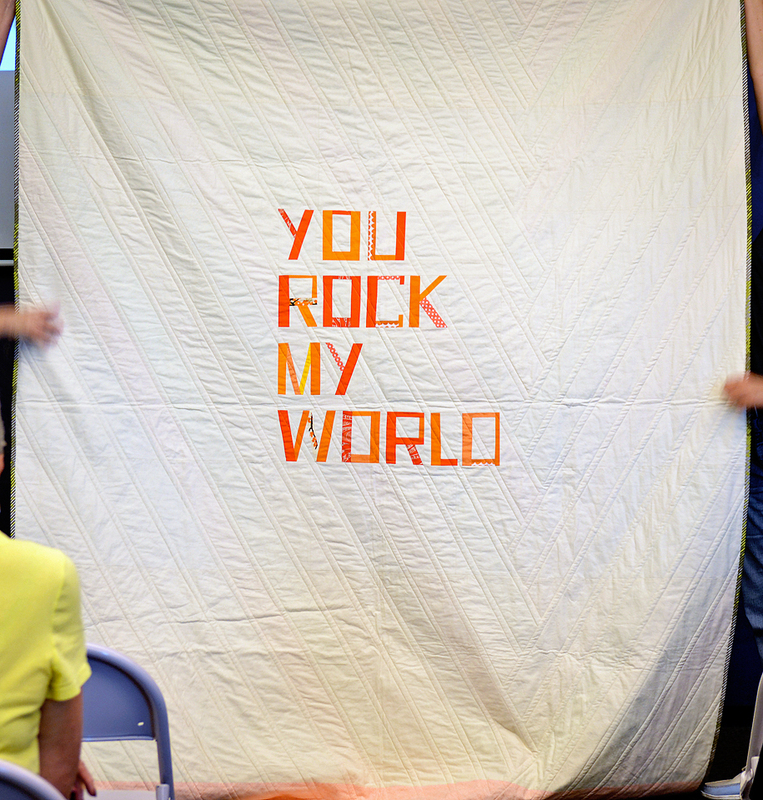 This quilt was also the first quilt I long-armed. My mom has been a quilter for years! We grew up with homemade quilts and I knew one day I’d make my own, I just didn’t expect to do it so soon. 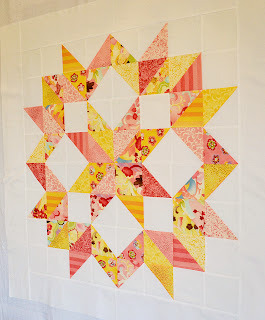 I was totally inspired by the online modern quilting blogs, and here I am today. 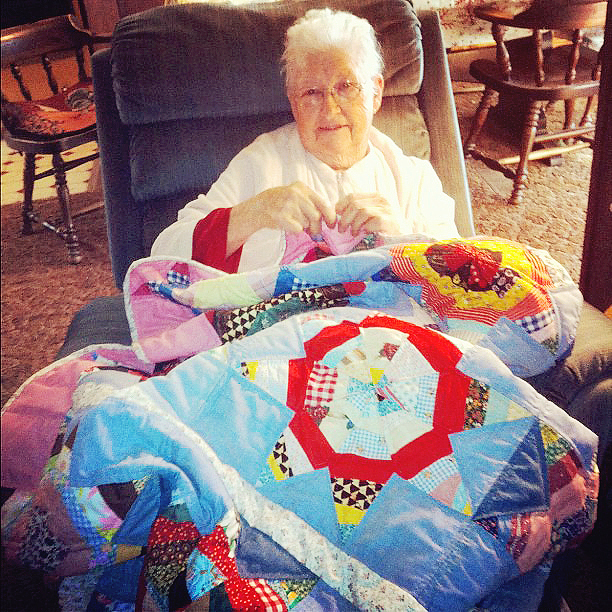 I only wish I had decided to take up quilting BEFORE I moved 2,000 miles away from my quilting mom. I don’t know that I have a favorite designer, but I’m a sucker for Moda! 9 out of the first 10 quilts I’ve made/am working on are using Moda fabrics. I also have a hard time saying no to any beach/nautical modern fabric. I just bought a ton of Avalon fabric, Moda of course. It’s a line inspired by a town on the island of Catalina, which I could see from my backyard where I grew up in Southern California. 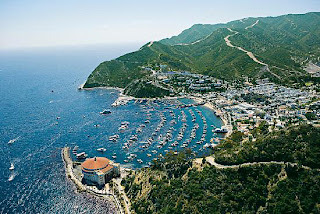 I fell in love with the fabric line before I knew the story behind it, which only makes it better, because I have so many fond memories of Catalina Island from my childhood. Hand binding all the way. I love binding in front of the tv, so relaxing! I’m not a big pinner…again it depends on how accurate I need to be. I sew like I drive…pedal to the metal! Blue, teal and more blue….I also love oranges. I hate purple, it is the unfortunate looking child of red and blue. 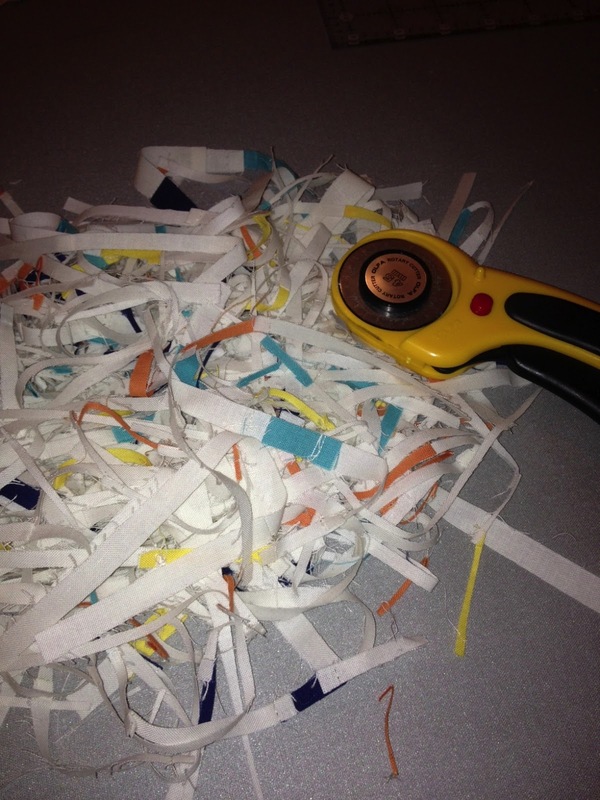 I am still making through a giant roll of Warm and Natural…but I also like Quilters Dream. 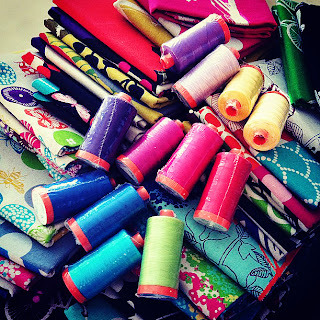 I typically use Gutermann cotton and haven’t had any problems. Both, the more the merrier! If anyone needs a kitten though, I can hook you up. I consider myself a modern traditional quilter. I find myself drawn to fairly traditional patterns, but with bright, modern fabrics and solids. I think fabric choice has a lot to do with the modern aesthetic. Improv piecing! 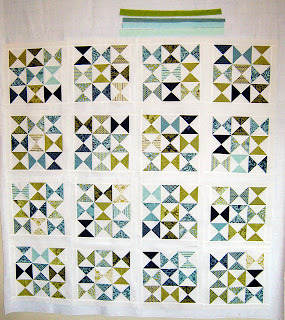 I want to make a sea-glass inspired quilt with teals and blues…shocking, I know. The Modern Quilt Workshop by Weeks Ringle and Bill Kerr is one of my favorites for true beginners. They cover the basics and have beautiful designs. I tend to Google or go on Pinterest when I’m looking for tutorial advice though, gotta love that! There are so many different ways to do things, I enjoy looking around and deciding which way works best for me. 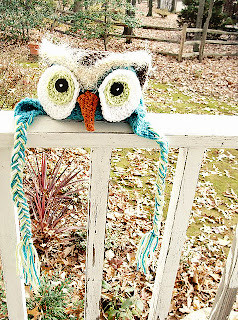 I don’t follow blogs religiously, I tend to hop around after I see things on Pinterest. Fresh Lemons and Freshly Pieced are two I gravitate towards. I love their style and use of color. No blog yet, maybe one day. 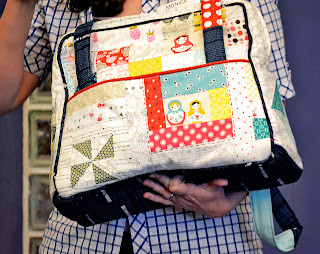 I’m so new to quilting EVERYTHING is on my bucket list! I recently learned needle-turn applique and really enjoy it. 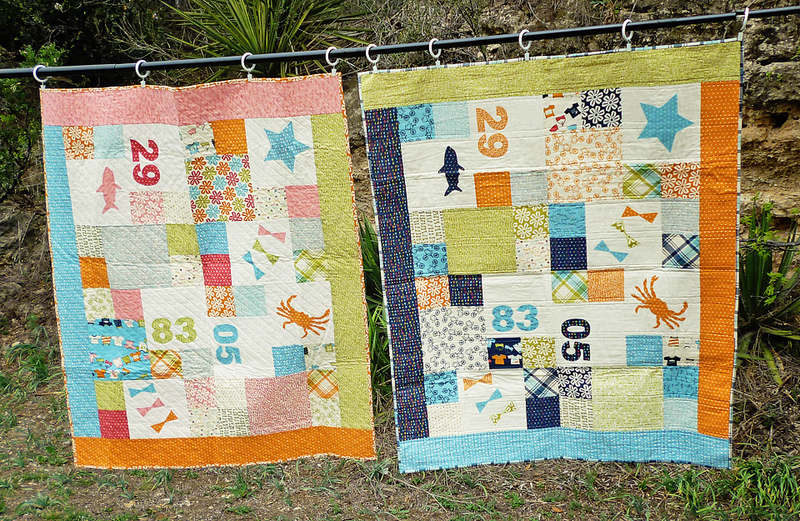 My biggest bucket list item is to design a nautical/beachy modern applique quilt. I’m a crazy crocheter. 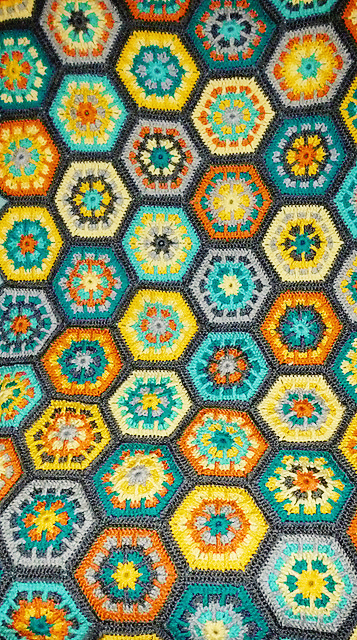 I probably would have started quilting sooner if I hadn’t been so preoccupied with crochet. I find hand work very relaxing and crochet in front of the tv is easy to start and stop as needed. 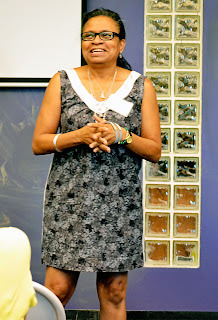 I’m excited for our retreat in August and all the fun events we’ll be planning. The retreats are such a great way to focus on projects and get stuff done, while getting to know fellow guild members. I also hope to get the guild sewing together more often outside of retreats. Stay tuned! Thank you for sharing with us, Corinne!